Well friends, it looks as though the book is closed on 2014. And what a year it has been. I have had some really high moments over the course of the past year. I finished my first Ironman and all. And I became a member of the Swim Bike Mom Ambassador Team for 2015. But I have also had some really low ones as well. Unfortunately we wrapped up 2014 having to say goodbye to one the greatest men that I’ve ever known, my stepdad. It’s certainly been an emotional year. 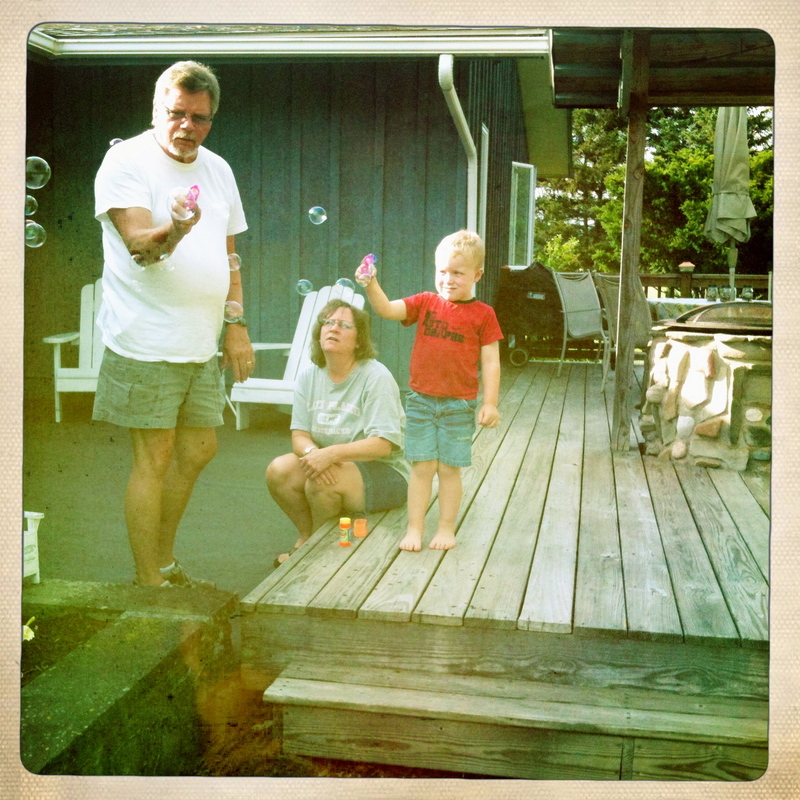 Grandpa Showing Collin How to Use the Bubble Gun. All of this has left me sort of wandering as we enter 2015. I’m lacking some focus and I’m feeling a bit lost. I am hopeful that this is a temporary feeling. I think that forcing myself forward should help me to regain all that I’m lacking. I will find a way to re-embrace my drive and the sport of triathlon that I love so much. So in that vein I have started to set some goals for 2015. I am setting big scary goals that will push me out of my comfort zone and luckily, I have a coach behind me that I’m sure will help me to get there. So I’m trying. And I will continue the juggle of training and life balance that defines my live as it is what makes me tick. As always in 2015, I am making spending time with my friends and family a priority. I’m hoping for a pretty great year filled with love, joy and finish lines. In the meantime here’s a look back at the year. Enjoy! And let’s go and get it in 2015. 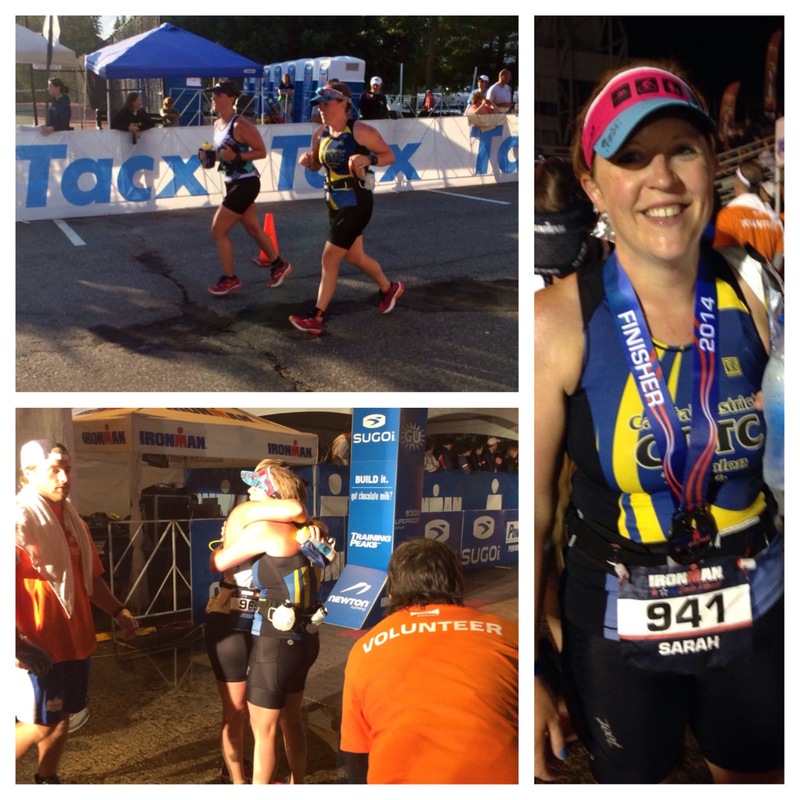 This entry was posted in #sbmat2015, Family, Ironman Lake Placid, Life Lessons, Triathlon, Year in Review. Bookmark the permalink. Happy New year! May this year bring you peace and blessings! So sorry for your loss Sarah. May 2015 bring you peace – and lots and lots of PRs! Hugs sweetie!